Lo and behold, the outcome of the informal summit between United States President Donald Trump and Chinese President Xi Jinping was good for Asean – as it exceeded Asean leaders’ expectations. As Asean prepares to celebrate its 50th anniversary this August, the regional organisation is deemed a “catalyst for peace” as it provides a platform for stability amid the tug of war between major world powers, says a veteran academic. As the Association of Southeast Asian Nations (ASEAN) approaches its 50th anniversary this year, a momentous milestone, the region is at a crossroads more than ever on several fronts, including the rights, health and wellbeing of millions of women and girls. Indonesia-based startup accelerator Kejora Ventures believes Asean now offers the size and scale to produce some hugely successful tech-based businesses. Most Southeast Asian stock markets fell on Monday as investors sought refuge in safe-haven assets in the wake of mounting geopolitical tension. The international community and particularly the Association of Southeast Nations deserve to be fully apprised regarding the fate of thousands of displaced people in Myanmar’s Rakhine state. Instead, all we’ve had is a worrying government announcement that refugee camps were being shut down. Nothing has been said about what happens to them next. A10 Networks has announced its partnership with Blazeclan, a premier cloud consulting firm, and introduced a new strategic solution that offers multi- cloud, multi-service management. 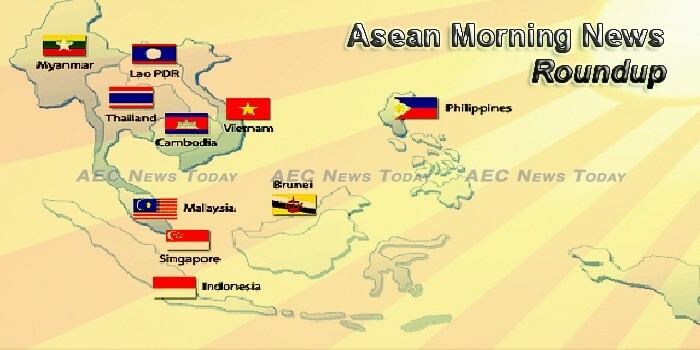 More than 200 delegates from the Association of Southeast Asian Nations will proceed with a meeting in a central Philippine resort province this week despite a foiled attack there by Muslim extremists, officials said Monday. The World Bank approved $100 million in loans to Cambodia to bolster secondary education by improving schools and educators’ qualifications, and to make rural roads more navigable and climate-resilient, according to a statement released on Friday. The Cambodian government has signed concessional loan agreements in a total amount of 8.3 billion U.S. dollars with bilateral and multilateral partners from 1993 to 2016, according to the Cambodia Public Debt Statistical Bulletin on Monday. Tokyo Electric Power Co. Holdings will team with Toshiba to manage power grids in Cambodia, hoping to secure a new earnings source as the utility grapples with soaring cleanup costs for the Fukushima nuclear plant disaster. A Cambodian doctor who openly criticized the government health service has claimed he has been denied a license to practice and barred from bringing medical supplies into the country. As Cambodia goes through rapid development and economic growth, changes are being felt in the workplace as women look to make their mark in professions traditionally seen as male preserves. Cambodians living in South Korea say they are unconcerned the trading of threats between the United States and North Korea. The CNRP will hold a snap congress on April 25 to again amend its bylaws to allow for the selection of three vice presidents—its third maneuver to appease the Interior Ministry, which has so far refused to recognize the lawmakers as party leaders, an official said on Monday. Hundreds gathered on Monday (April 17) at Cambodia’s infamous “Killing Field” to mark the 42nd anniversary of the fall of Phnom Penh to the Khmer Rouge regime. Celebrations ushering in the Year of the Rooster witnessed a slight decrease in both traffic accidents and fatalities compared to the previous year, according to a ministry official. Indonesian ride-hailing startup Go-Jek is in talks with investors to raise a US$1 billion-worth of funding, according to a Wall Street Journal report citing anonymous sources familiar with the process. The State Audit Board (BPK) has reported to President Joko Widodo (Jokowi) its findings of 5,810 cases, containing 1,393 cases (18 percent) of weaknesses in internal control system and 6,201 cases (82 percent) of non-compliance with the regulations, causing potential losses of Rp19.48 trillion. Bank Indonesia, the country’s central bank says it is cracking down on unauthorized money changers across the country, many of which have been operating in Bali. The Supreme Audit Agency (BPK) has urged President Joko “Jokowi” Widodo to investigate the agency’s findings on potential state losses worth Rp 19.48 trillion (US$1.47 billion) in 2016. The government is confident of meeting its tax target this year on the back of strong collection in the first three months that has so far exceeded that of the same period last year, a senior official said on Sunday (17/04). Indonesia would find the best method to facilitate the entry of halal products from Malaysia into the republic without having to undergo the tedious process currently, said Malaysian International Trade and Industry Minister Mustapa Mohamed. Indonesia is witnessing a new group of hybrid digital media, or platforms, that combine social media and news reporting. The bulk of proceeds to be raised from the proposed listing of Lotte Chemical Titan Holding Bhd (LCT), a unit of South Korean conglomerate Lotte Group, is to be used to fund the development of a US$3.5 billion (RM15.4 billion) integrated petrochemical facility in Indonesia. MANILA Water Co., the water concessionaire for the East Zone of Metro Manila, said it would submit scaled-up proposals within the third quarter of the year for possible water concessions in Myanmar and Indonesia following the completion of its pilot projects. Indonesias exports were up 15.68 percent in March, from US$12.61 billion in the previous month to $14.59 billion, according to Central Bureau of Statistics (BPS) here on Monday. The U.S. Department of Commerce initiated antidumping and countervailing duty investigations aimed at biodiesel imports from Argentina and Indonesia, the department has announced in response to a petition filed by biodiesel industry interests in the United States. Indonesian imports rose 17.65 percent to US$13.36 billion in March from US$8.89 billion in February this year, the Central Bureau of Statistic (BPS) said here on Monday. Finance Minister Sri Mulyani said that Indonesia`s debt to GDP ratio is lower than other countries. “Indonesia’s debt [to GDP] ratio is quite high. But not as high as other countries,” she said in South Tangerang on Monday, April 17, 2017. Central Java Governor Ganjar Pranowo has urged concerned parties at the Mangkunegaran Palace in Surakarta to negotiate and prioritize deliberation in resolving the ongoing conflict between Sultan Paku Buwono XIII Hangabehi and his Customary Council. Hundreds of domestic and foreign legal officials, practitioners, corporate counsels, corporations, arbitrators and mediators are expected to join vigorous discussions for the enhancement of arbitration and mediation practices in the whole Asia-Pacific region. President Joko Widodo has pledged state funding for the treatment of one of Indonesia’s anti-corruption heroes, Novel Baswedan, who was attacked with acid on April 11. Bank Indonesia, the central bank, announced normal banking activity but no monetary operations for Wednesday (19/04), due to the Jakarta gubernatorial election, an executive said. Jakarta-based digital education and training platform Yacademy today introduced the three Malaysian startups that are participating in their Indonesian Market Immersion Program (IMIP) at Kejora HQ, West Jakarta. A representative of Indonesia’s largest Islamic organization, Nahdlatul Ulama (NU), has deplored President Joko “Jokowi” Widodo’s administration’s stance against radical groups in Indonesia, suggesting it is too soft to deal with groups that pose a direct threat to the government. Automotive parts manufacturer New Hoong Fatt Holdings Bhd is buying a 24,575sqm land in West Java, Indonesia for RM17.97 million to set up a new manufacturing plant for further expansion. Qatar has invited Indonesian Vice President Jusuf Kalla to attend the Doha Forum, which will be held from May 14 to 15, 2017, to discuss global democracy and promote peace in the world. The cooperation between the Vietnamese and Lao governments has contributed to taking bilateral relations to new heights, said Lao National Assembly Chairwoman, Ms Pany Yathotou. The newly appointed Lao Ambassador to Japan, Mr Virod Sundara, confirmed that he would do his utmost to foster relations between Laos and Japan when presenting his credentials to Japan’s Emperor Akihito on April 11. THE Ambassador of Laos to Brunei Darussalam, Amphay Kindavong, and spouse Phimpha Kindavong yesterday participated in the Lao New Year 2560 celebration. “Happy Lao New Year, who’s ready to party?” blared over the loudspeakers Saturday afternoon in Lanexang Village as more than 1,000 people filtered into the neighborhood to celebrate another new year on the Laotian calendar. Cuisine imported from other countries is usually, out of necessity, adapted to the local palate. The original ingredients might not be readily available, or the heat and spice might be more than the average American taste buds can handle. Mothers in rural and remote areas in Huaphan Province, particularly those from low income families, have been asked to by the government and international organisations to take part in improving the nutritional status of their children. The contract to build, install and operate the SMART4 public phone and WiFi hub terminals for Thailand’s state-owned TOT Public Co Ltd is estimated to be worth RM175.5mil, said mTouche Technology Bhd. Malaysian palm oil futures lost early gains, sliding to an eight-month low in late trade on Monday, weighed down by expectations of rising output in top producers Malaysia and Indonesia. BIMA, an insurance technology (insurtech) firm that provides microinsurance to underserved families in emerging markets, has closed $16.8 million from Axiata Digital, the digital services arm of Axiata Group Berhad (Axiata). As growth in semiconductor usage underpins a 38% surge in Malaysian technology stocks, companies like Vitrox Corp Bhd are expanding. Malaysia’s annual inflation rate is expected to rise to 5.3 percent in March, the highest in eight years, a Reuters poll showed. The ringgit opened lower against the US dollar today on mild profit-taking following yesterday’s gains. Petronas Gas Bhd (PGB) is spending more than RM500 million in capital expenditure (capex) in the current financial year ending Dec 31, 2017. The Ministry of Urban Wellbeing, Housing and Local Government will build 4,800 units of studio apartment for youth, on its land in Batu district, Kuala Lumpur. Authorities will not issue halal certification for non-alcoholic “beer” or any product that uses “haram”-related names like ham or bacon, minister Datuk Seri Jamil Khir Baharom said today. Petronas Gas Bhd (PetGas) hopes to gain from leasing agreements once the contracts under the new Gas Supply (amendment) Act 2016 come into effect. Prasarana Malaysia Bhd is eyeing the Brunei market on the possibility of developing a metro network system there, said its president and group chief executive officer Datuk Seri Azmi Abdul Aziz. A four-day fundraising event called Unsung Heroines is being held to support displaced Myanmar women refugees in Malaysia, the Star reported on 15 April. THE Malaysian government has purchased more trains to meet increasing public demand for the KTM Komuter service. THE digital economy is on track to contribute 18 per cent to the country’s gross domestic product (GDP) this year, said Malaysia Digital Economy Corp (MDEC) chief executive officer Datuk Yasmin Mahmood. Maybank IB Research says there is better earnings clarity for Ann Joo Resources Bhd, and issued a “buy” call on the company, with a target price of RM3.20. The property market has bottomed out lower than it did last year but according to experts, this may not be a bad thing as there are still willing buyers for discounted properties. Advisers to the national leader must be open-minded and be prepared to accept the views of others, says Deputy Prime Minister Datuk Seri Dr Ahmad Zahid Hamidi. Despite security efforts, there were still numerous cases of accidents and crimes during the water festival. an increase from last year’s total. Foreigners have shown little interest in Myanmar’s condominiums on account of their inability to meet the condominium’s criteria and the weakness of law, according to an analysis by the real estate website House.com.mm. According to the new Condominium Law, foreigners have the right to buy condominiums, but the lack of quality has led foreign expatriates to lose interest, the website found. A massive fire destroyed the market at the village of ‘Zin Paing Nya’ in northern Maungdaw yesterday (on Apr 16) afternoon. Cyclone Maarutha made landfall on Myanmar’s Rakhine coast on Monday night. Cash sent home by Filipinos overseas through banks stayed at the $2-billion level for the 13th straight month in February even as year-on-year growth slowed on seasonality. Lopez Holdings said Tuesday its net income attributable to shareholders rose 6 percent in 2016 to P6.557 billion. Former Senator Bongbong Marcos went to the Supreme Court (SC) on Monday to pay more than P30 million for his election protest against Vice President Leni Robredo. The Samahang Industriya ng Agrikultura (Sinag) is calling on the Department of Agriculture (DA) to study the industry gaps that are resulting in an increase in the prices of pork. The U.S. military will begin annual military drills with Philippine forces next month, despite tense relations with President Rodrigo Duterte, AFP reports. President Rodrigo Duterte has vowed to put up hospitals for overseas filipino workers (OFWs) in countries where they work. Agriculture Secretary Emmanuel Piñol yesterday warned traders against triggering an artificial rice shortage to force the government to allow the importation of the country’s staple. THE REPERCUSSIONS of human rights concerns in the Philippines on the country’s trade with the European Union (EU) could spill beyond the GSP+ scheme, the bloc’s envoy to the Philippines signaled last week. Share prices opened higher on Tuesday, tracking gains on Wall Street, even as concerns over North Korea loomed. Conglomerate GT Capital Holdings Inc. will increase its interest in banking arm Metropolitan Bank and Trust Co. to 36.092 percent by buying the 9.622 percent interest held by various Ty-owned companies for P24.72 billion. Detained Sen. Leila de Lima is pushing for the immediate passage of the bill seeking to impose stiffer penalties on those who involve children in their criminal activities. President Rodrigo Duterte topped Time magazine’s poll on the world’s most influential people, a feat that the Palace attributed to his agenda of helping the poor. The Bureau of Internal Revenue (BIR) said the government would likely issue a closure order for the manufacturing facilities controlled by embattled cigarette-maker Mighty Corp. next month. Department of Labor and Employment (DOLE) Secretary Silvestre Bello III said on Monday that the bereaved families of four Filipino workers overseas who died in a vehicular accident in Abu Dhabi, United Arab Emirates (UAE) are entitled to financial assistance from the government. Singapore home sales surged to the highest monthly total for nearly four years in March, a month in which the government rolled back some property curbs in March following a three-year slide in prices. PROCTER & Gamble (P&G) will invest more than US$100 million over the next five years to set up its first digital innovation centre outside the US in Singapore. With competition for the tourist dollar fiercer than ever, the Changi Airport Group (CAG), Singapore Airlines (SIA) and the Singapore Tourism Board (STB) have renewed their agreement to join forces and woo travellers, in their biggest commitment to date. DEVELOPERS in Singapore sold 1,780 private homes in March 2017, up nearly 82 per cent from the 979 units they moved in the previous month and also 111 per cent higher than the 843 units they sold in March 2016. SINGAPORE’S exports appear to be firmly back on the growth path, with non-oil domestic shipments powering to a fifth straight monthly rise in March. Frasers Centrepoint Limited (FCL) today announced that it is acquiring an 86.56 per cent stake in Geneba Properties N.V. from Catalyst RE Coöperatief U.A. for EUR 315.9 million ($335.4 million). UOB on Tuesday said it expects to bring in deposits of about S$1.5 billion in the next five years via a new savings account tied to miles redemption through Singapore Airlines’ (SIA) KrisFlyer programme. The tightening of the H-1B regime has grabbed a lot of spotlight but the visa issue should not be looked at as ‘be all and end all’ of the entire IT industry’s growth, Nasscom President, R Chandrashekhar said. Angel investors – William Klippgen and Michael Blakey – who recently launched Cocoon Capital, a US$7 million venture fund in Singapore, believe they are uniquely positioned to fund early stage B2B companies in the region. THE Monetary Authority of Singapore (MAS) has sealed a partnership with a United Nations unit to encourage the development and access of digital financial services in Asean. SINGAPORE share prices rebounded on Tuesday morning as economic and geopolitical woes eased. There is no need for a licence to captain a boat at the revamped Singapore Maritime Gallery. Work on Woodlands’ first hospital, slated to serve more than 935,000 residents in the north started, started on Tuesday (April 18) with Health Minister Gan Kim Yong officiating at the groundbreaking ceremony. Singaporeans aged 16 to 34 prefer YouTube to TV according to a study by Google Singapore and Kantar TNS, with older demographics visiting YouTube at least once a month. Taizo Son, who built his fortune on hit smartphone game Puzzle & Dragons, has relocated to the city-state from Tokyo and plans to invest $100 million in Southeast Asia within five years. The littoral combat ship program’s Crew 204, stuck in Singapore for months, is back with their families now after being detached last week. The Woodlands Health Campus (WHC), the first hospital in Woodlands, is expected to use the widespread adoption of technology to improve the patient care experience. Durian lovers here may have to fork out more to get their hands on the king of fruit, with Singapore sellers reporting that Malaysian farmers are exporting more of their harvest to China and Chinese tourists buying the fruit at the Malaysians farms they visit. The Office of the National Economic and Social Development Board (NESDB) has guaranteed that the Thai economy will recover after 2017, with money flowing into the pockets of its people along with vibrant tourism, exports, and agricultural activity. An economist from Rangsit University has forecast that Thailand’s gross domestic product (GDP) in the first quarter of this year will increase by 3.4% due to tourism and government spending. Huawei India along with Thailand played a major role in the global annual revenue growth of 32% at $75.1 billion in 2016, said Huawei India CEO Jay Chen. Amata Corporation has expressed its confidence that the Eastern Special Economic Zone Act will jump-start investment in the Thai economy. The Mass Rapid Transit Authority (MRTA) aims to sign construction contracts early next month for the two key electric rail lines that will carry people from surrounding provinces to the capital. NTERNET Thailand (INET) plans to spend a further Bt1.2 billion on a data centre in Saraburi province this year and set up an online marketplace for what it calls hybrid cloud services. CIMB Thai Bank (CIMBT) is stepping up its push into financial advisory services and expects its corporate clients to issue debentures of up to Bt30 billion this year. The Department of Business Development (DBD) has reminded entrepreneurs to install an electronic data capture (EDC) machine in order to be entitled to tax privileges. The devastating accident at Japan’s Fukushima nuclear power plant in 2011 sparked worldwide fears and forced many countries, including Thailand, to scrap their nuclear power development plans. The National Food Authority (NFA) denied reports that the agency has initiated backdoor negotiations with Thailand for the importation of 1.3 million metric tons of rice. THE PROPERTY market in Bangkok’s Thon Buri area is poised for growth due to its population density and the near-completion of the extension of the mass-transit system into the area, according to research by Plus Property Co, a property-agency arm of Sansiri. TCC Group will lead the charge in the massive transformation of the already bustling thoroughfare, though critical transport infrastructure remains a pressing concern. Thailand’s wealthiest man, Charoen Sirivadhanabhakdi, has teamed up with architecture firm SOM to plan One Bangkok, a $3.5 billion project that will be first in Thailand to target LEED Platinum certification for Neighborhood Development. City Hall has been sprung into action after an image of the Klong Toey canal covered in garbage drew strong public criticism. State-run Transport Company on Monday arranged for several buses to send returning passngers at Morchit bus terminal to the BTS elevated train station at Chatuchak park without any charges. Thailand has long seen a great influx of foreign migrants and workers from its surrounding neighbours, such as Myanmar or Laos. It is also home to many smaller ethnic minority groups such as the Karen, Hmong or Lahu. However, Thailand has never had the best track record when it comes to dealing with these foreign or ethnic minorities, especially when it comes to documentation. This poses a problem to these minorities, many of whom have lived in Thailand for decades, as they don’t have the legal documents and identification often required in various situations, from medical or school applications to basic protection of law. Eight task forces will be established to investigate corruption cases that have received public attention in 20 provinces and cities. The decision was adopted today by the Anti-Corruption Central Steering Committee, chaired by Party General Secretary Nguyễn Phú Trọng. The steel industry is expected to maintain its recent double-digit growth this year, helped by the recovery of the property market, but it will also face the pressure of trade defense instruments in import markets and competition from cheap steel. The Vietnam Commercial Bank for Industry and Trade (VietinBank) targeted increasing before-tax profit to 8.8 trillion VND (382.6 million USD) this year, up 231 billion VND (10.04 billion USD), during its annual shareholders’ meeting in Hanoi on April 17. Outstanding loans in HCM City totalled around VND1.5 quadrillion (US$65.8 billion) in the first quarter of 2017, a three per cent rise over the end of 2016. According to ADB, manufacturing will be boosted by the continued opening of new foreign-invested factories on the back of a record FDI disbursement of US$15.8 billion last year, up 9% year-on-year. HCM City authorities have asked the Ministry of Planning and Investment and Ministry of Finance to allocate an additional VNĐ48.762 trillion (US$2.14 billion) of official development assistance (ODA) in the next three years, with VNĐ8 trillion ($352.33 million) allocated for this year. Only 30% of graduates are able to do their work sufficiently well for their employers, said Nguyen Thi Thanh Huong from the ICT Department of Navigos Search, provider of executive search and management consultancy services in Vietnam. Vietnam’s car imports have risen a staggering 34.4 percent from a year ago to 26,500 units, with more than half of them coming from low-tariff markets in Southeast Asia, customs figures show. A project to develop the Buon Ma Thuot coffee brand is expected to benefit more than 15,000 farmers who live in a poor commune in the Central Highlands province of Dak Lak. Specifically, the organizations and individuals will be allowed to mobilize capital from domestic and foreign organizations and individuals to develop solar power projects in line with current regulations. Solar power projects will enjoy tax exemption for imported equipment unproduced domestically and land allocation incentives. The Vietnam Railway Corporation (VNR) will ink a deal with the Saigon Newport Corporation this April to build two inland container depots (ICDs) in Binh Duong Province and Ha Noi. The strategic partnership between Vietnam and Japan is seeing its finest and most powerful development. The Capital of Hanoi has deployed many solutions to continue attracting investment in all fields, including tourism from the Japanese market. Vietnam is forecast to import 1.7 million tons of soybeans this year, a rebound of 6 percent after a fall in last year’s overseas purchases following higher demand for animal feed production and from the food processing sector, the U.S. Department of Agriculture has said. FPT Software expects to earn US$200 million through the sale of automotive technology solutions and employ 8,000 people by 2020, the company said. The central province’s environmental department has ordered three titanium exploitation companies to suspend operations, which have continued for the last three years despite expired licences. Vietinbank has not completed acquiring PGBank as the two sides have not finished all required procedures and got approval from the authorities. The Vietnam Technological and Commercial Joint Stock Bank (Techcombank) will raise its charter capital by VND5 trillion (US$220 million) to nearly VND14 trillion ($616 million) this year through the sale of shares. Shareholders of PV Gas (GAS) has approved the company’s plans to lower its business targets in 2017 by 15-27 per cent year-on-year, given the global instability and volatile oil market. The State Bank of Viet Nam has coordinated with the International Finance Corporation (IFC) to prepare a handbook on social and environmental risk assessment for 10 economic sectors serving credit operations of commercial banks. Việt Nam needs to improve the quality of weather forecasting and enhance international co-operation to prepare for natural disasters, Prime Minister Nguyễn Xuân Phúc has said. It seems Vietnamese people should read the etiquette guide for tourists more carefully before waving their fingers at foreigners.